OLD PARKED CARS. 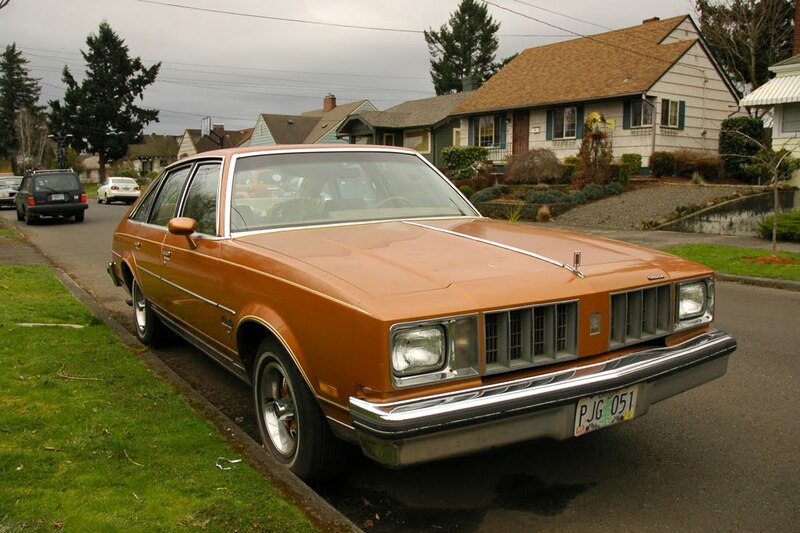 : 1978 Oldsmobile Cutlass Salon Brougham Aeroback. 1978 Oldsmobile Cutlass Salon Brougham Aeroback. something complete about this design, though. it's not "good," and i wouldn't call it "honest," either, but i like how fully and unapologetically committed they were to a design that really didn't need to exist. whitewalls and paint-matched rims pull it all together. love the sky in the windows. Absolute horror. I'm surprised that they put the Finnish flag there, too. That´s an hideous car. 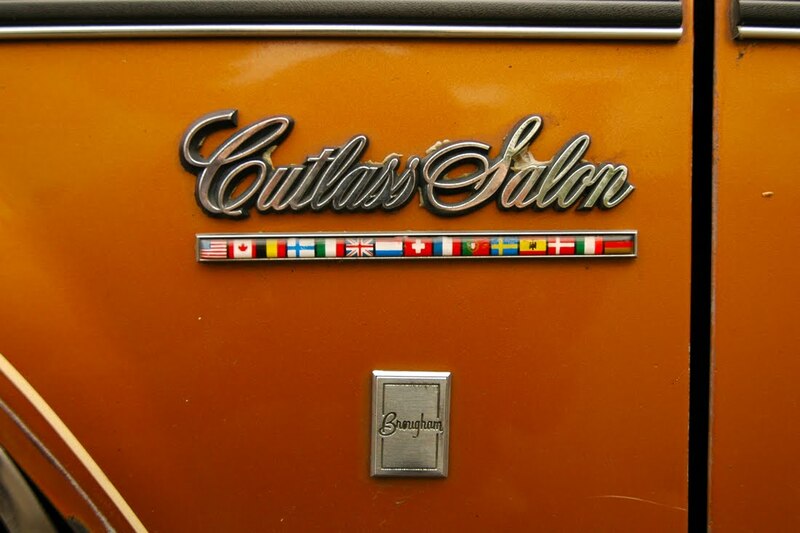 Like the flags (mounted by a sober worker this time =o) especially on a Olds which must been the less selling america car in europe... I hardly se anyone on the streets of sweden, accept for pre 1970. 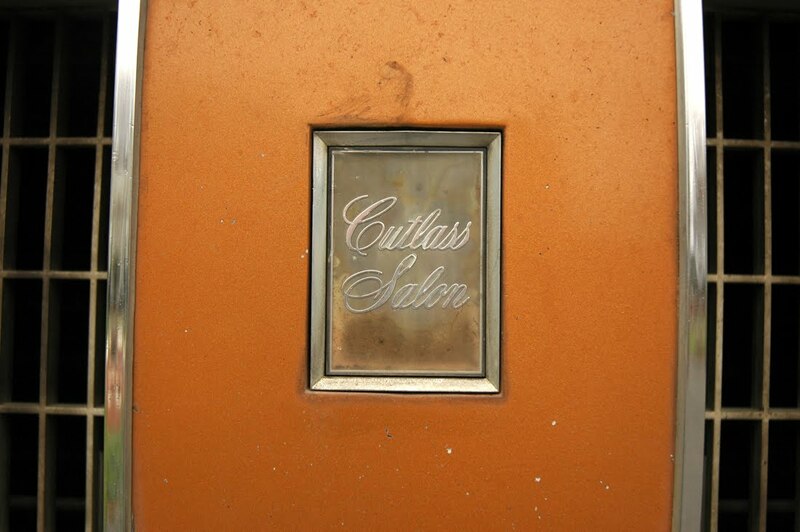 They should've named it Cutlass Saloon. Would have been more accurate. 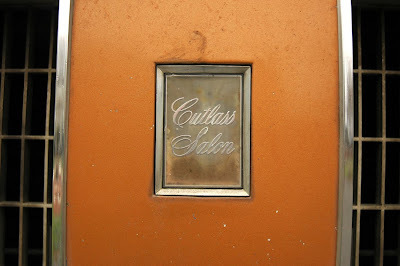 Or perhaps Gutless Saloon. Yeah. 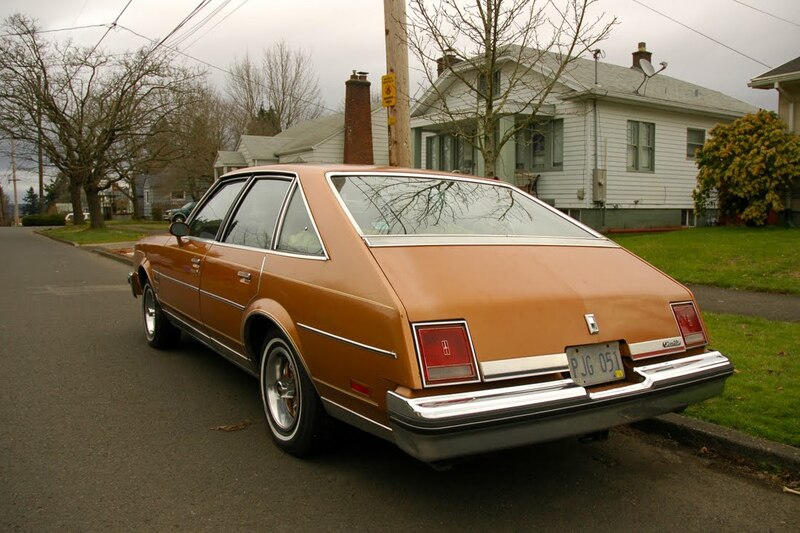 They even imported a few to Finland in the late 70s with horrible 5.7 l diesel engines. 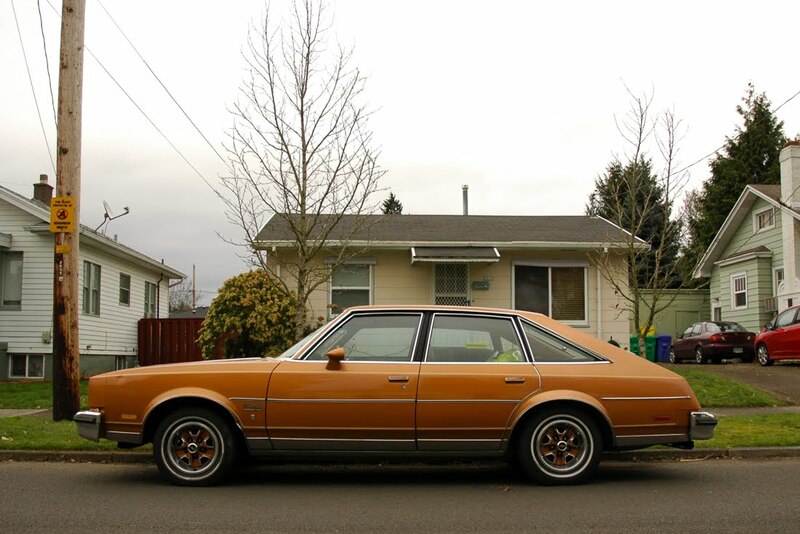 I owned a maroon 78 Cutlass Salon Brougham Aeroback as my first car. It was actually a handy little thing, and had a small V-8. Mileage was pretty good (22-ish), and lotsa room for stuff. Nice! But the real question is, was it 2 door or 4 door? Those little flags gave me a little remembrance. 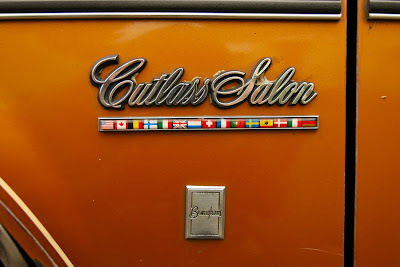 As a little kid, I loved cars and flags, so noticing this on an Oldsmobile (they are very uncommon in Chile) was something I never forgot, and rounded my idea that an Oldsmobile was a luxury car. Bought mine ten years old in 1989 and drove it for another ten years. Uglier than a mud fence but massive interior room. Quiet, powerful V-8, too, passed cars on hills like they were standing still. I've had four cars since then and that's the only car I really miss.